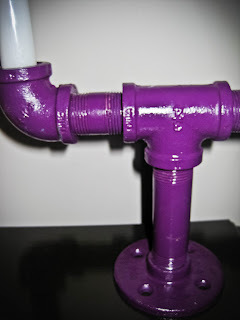 It's pretty amazing when one DIY project can effortlessly lead to another. 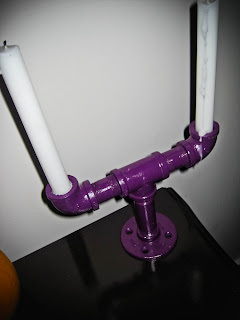 Last week, I posted about a candlestick holder that I had fashioned from some metal pipes and paint. That project in itself was a test, or "rough draft" that led to the project I want to share with you today. 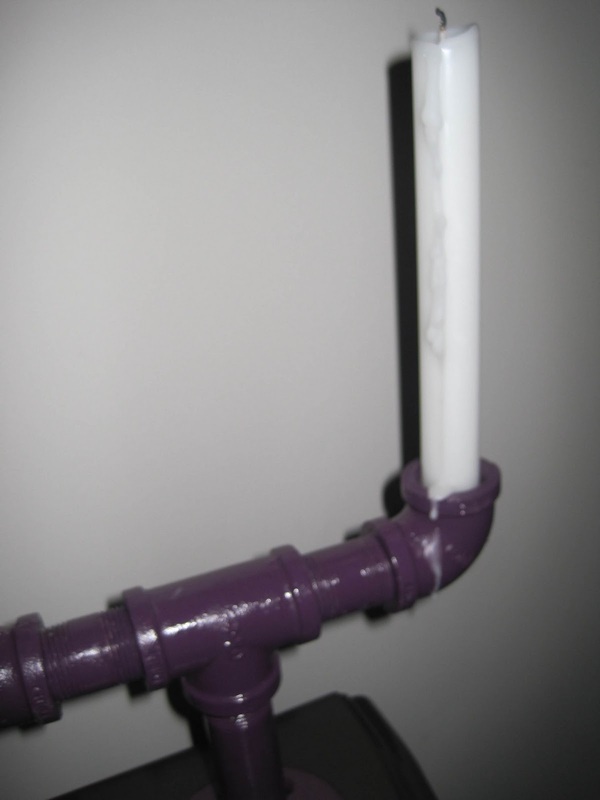 The only potential setback I came up against with this project was the pipes were about 1/16" too big for the candles- meaning that they leaned or tended to sway to one direction. The solution: wrap the bottom of the candles in several layers of tin foil to build up the depth. I think what I admire most about this project is the blended contrast of the industrial pipes, with the punch of color. It currently is adding a dose of humor to our dining room table- but I think this candelabra is versatile enough to fit into most schemes!